Just CF and CB seams! My daughter had been asking me if I could make her some silky tops to wear to work. Feeling t shirts were a bit too informal for going to court etc she wanted a cool, easy to put on, easy to wash and dry top, in a range of bright colours. It sounded like a fairly easy project. I downloaded and tried the well-loved Sorbetto top (my first experience with downloading a pattern). Despite the generosity of the designer I am afraid I didn’t like it much, and she hated it – way too baggy for a skinny size 6. The thought of a bias top then occurred to me. This would enable the top to be put on over the head, it would cling to the body as if it were a t-shirt, yet it could be made to look quite formal in a woven fabric. I searched the internet for a simple bias top pattern. As I couldn’t find one (any suggestions?) I decided to draft one. In fact I simply drew a simple sleeveless top, joining the side seams so there was one half piece. 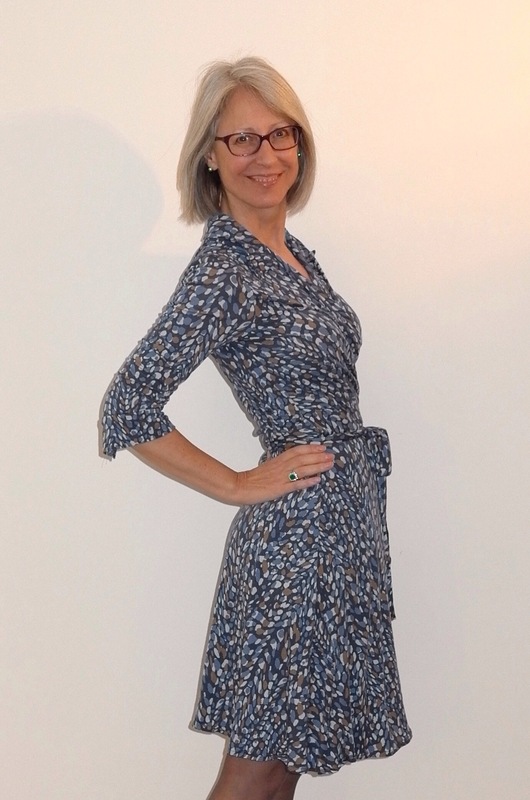 In order to see if the neckline and shoulders were acceptable and to check that it would go over my head I recycled an old linen skirt I had bought from the Shelter charity shop £2 rail. 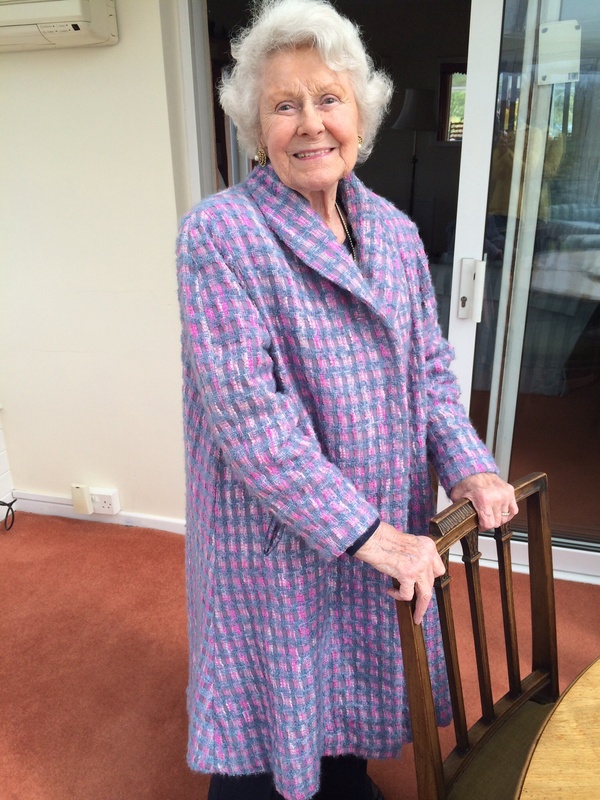 I chose it because it was nearly ankle length, size 18, with a draw-string waist (I know…). But the fabric was a nice tonal linen with a blue weft and greenish warp, made by East (an Indian company – they also make FabIndia products). I added seam allowance and placed the centre-front on the cross grain (and of course this placed the centre-back on the cross too). The skirt had some decorative seaming in it which I manoeuvred so it produced a nice chevron effect design line across the front of the top. I used the draw-string for a little belt to pull the top in more. 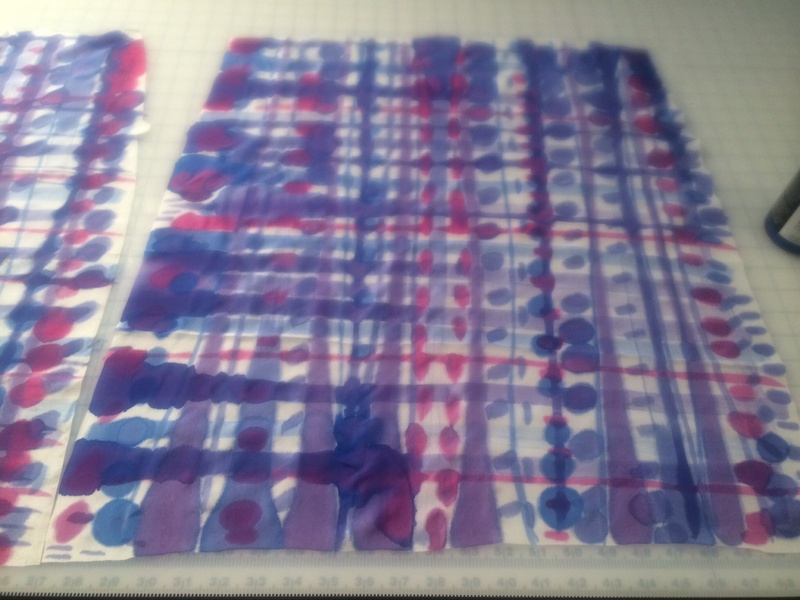 I drafted some sleeves, which I wasn’t sure should be cut on the bias or not. I found it easier to layout the sleeves on the cross. I think it is the mixing of straight and cross grain that is probably more fabric greedy than using a consistent approach.I managed to squeeze the whole top out of a piece of pink and grey wool Linton tweed I had, but there wasn’t enough for any facing. I had a pink chiffon remnant which had already been cut on the cross. I thought this would be a good neutral shade and luxurious enough for my binding, and used this on the cuffs, neckline and hem. I lined the top in light weight pink habotai silk. There wasn’t much fabric left so I used what there was to make a little skirt, hip measurement plus 2in then gathered the waist into a waistband, lined again in the light pink silk. It’s a nice set to wear. I am keen to progress my bias experiments in due course. I buy quite a lot of white fabric, mainly because I enjoy printing and painting on fabric to create unique textiles. The fabric I used to make my white blouse for the SWAP was in fact what I had left when I had made the YSL dress, featured at the start of my blog. It came from an expensive shop in central London and is top quality French linen. I bought it specifically because it is a nice optical white; not at all creamy. The shop don’t like to sell in less than 25cms, ie you can’t have 1.3m, and anyway when I made the YSL dress I had no idea how much I would need. So I bought much more than required, and had enough left over to make a blouse. This top was a lovely straightforward make. I ironed out the crumpled, yellowed, unprinted pattern (just four pieces, as it has short kimono sleeves, and a shawl collar). I lengthened the body by an inch above the waist, cut it out and I marked the dart, button, button-hole, and stitching marks with a turquoise washable felt tip one Saturday afternoon. 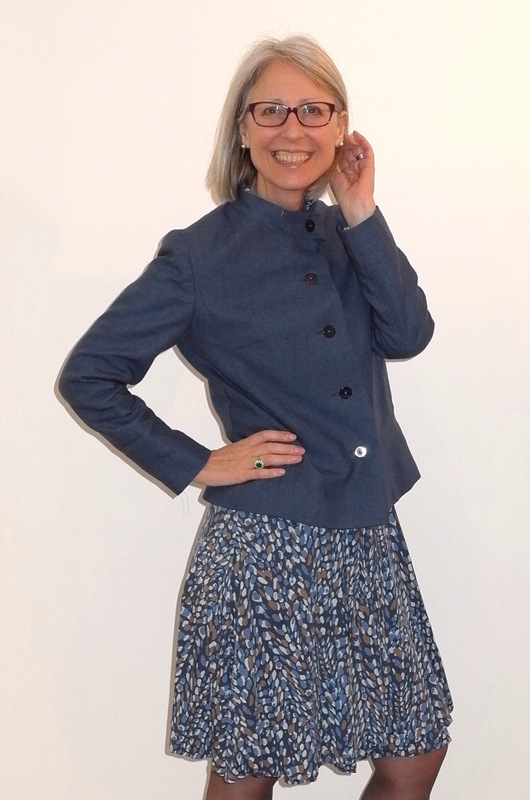 I sewed it up during the evening and found it a perfect fit – iIespecially liked the wide, released back darts, making a nice tidy back when tucked in, or left out. The collar has a cut-out “V”so appears notched, although it is a shawl collar. I added an additional button hole to the front as the blouse was a little longer than designed and found perfect notched buttons at Sharon’s on Clitheroe market. The fabric was very nice to sew and the pattern was a good fit. The button holer on my machine worked perfectly and I think I managed, at one stroke, to create both a blouse that I will enjoy wearing and to overcome my blouse trauma. Phew! 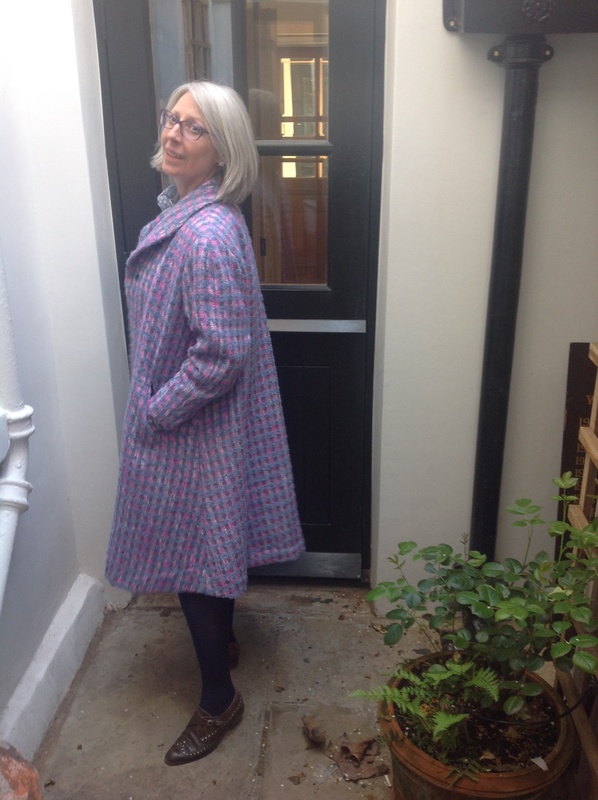 This suit started with one metre of tweedy fabric I got from my favourite fabric shop Simplyfabrics of Brixton. I bought 1m for a generic skirt when I had only made one skirt in 25 years. I didn’t know how much I would need as I had no idea what type of skirt I wanted. I liked the cloth with its off white, grey, dark blue and lighter blue yarns, and a soft cottony-wooly feel. I wanted to make a 60s style skirt. This is a style I particularly favour. I am not keen on the classic pencil skirt, as I have a small waist but big hips. An A-line is more flattering. I like the combination of a slight flare with a relatively short (above the knee) hem to be flattering on someone with curves plus average length legs. But let’s face it, a pure A line is terribly boring and aging. 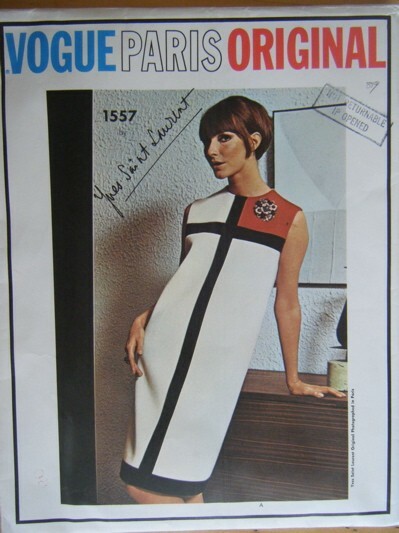 Over the years I have owned some vintage sixties suits and rather than the skirt being an also-ran (like you get today, even with expensive brands), I noted lots of interesting and important design details on the skirt. Gathering plus darting, yokes, panels rather than side seams, in seam pockets – and usually lined. 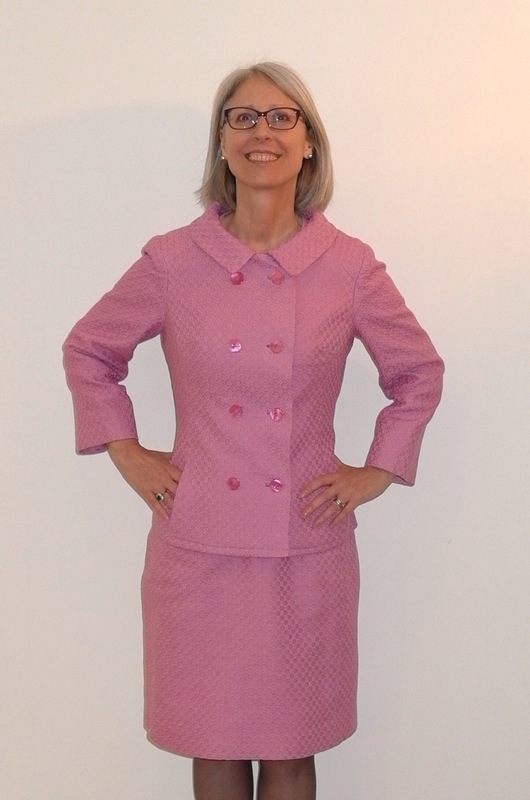 I bought a few sixties suit patterns online, mainly for the skirts. And Vogue 7379 was one of them. Ideal for an Air hostess? As usual I had to work quite hard to get the skirt into the fabric, top and tailing in order to do so. This left me with insufficient fabric to create either a waist band or pockets. For the pockets I had plenty of left overs and used a light blue silk/cashmere for in seam pockets. But for the waistband I had no suitable woolen fabric. From the same shop I had bought a piece of good quality linen suiting fabric in a fairly lively blue. 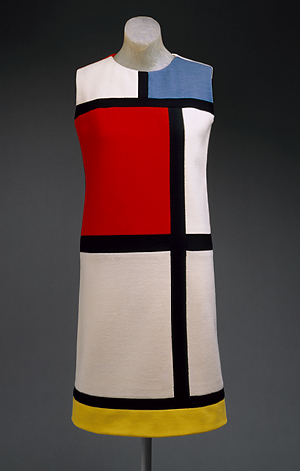 I was told it was Paul Smith, but who knows. It had a jagged piece cut out of it, and was sold to me for 5 quid. Not knowing initially what this was for (a bit firm for a dress) I cut the waist band from it, and found it a great success. Of course when I later decided to build on this success and make a jacket I was short of material again. I managed to get the jacket cut out but had to sacrifice the pockets, which I really regret. The collar was made with the right grain only on the underside but it worked out fine. I used a crisp cotton organdie for the interfacing in the collar and front facing. I found some nice shell buttons at McCullogh and Wallis. I often get my buttons there although they can be rather expensive. 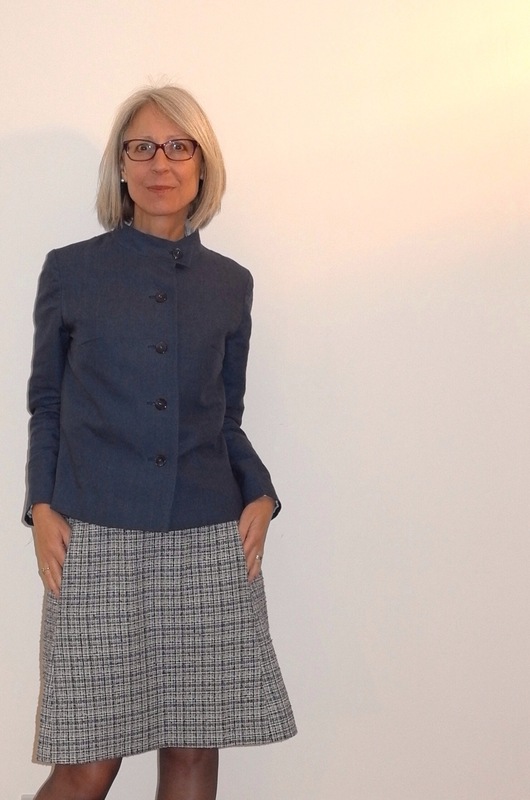 I lined both skirt and jacket in silk habotai, on which I had painted a subtle grid pattern in blue-grey. There is a sequel to this story. I really wanted the pockets and was thrilled to find some more of the blue linen, on the roll, lying alongside all the summer dress weight linens. I bought two metres, thinking of trousers as well as pockets. Then, when I got home, I found there was no pocket pattern. I could draft one, but given the jacket is already lined, it is now a big hassle. Maybe? 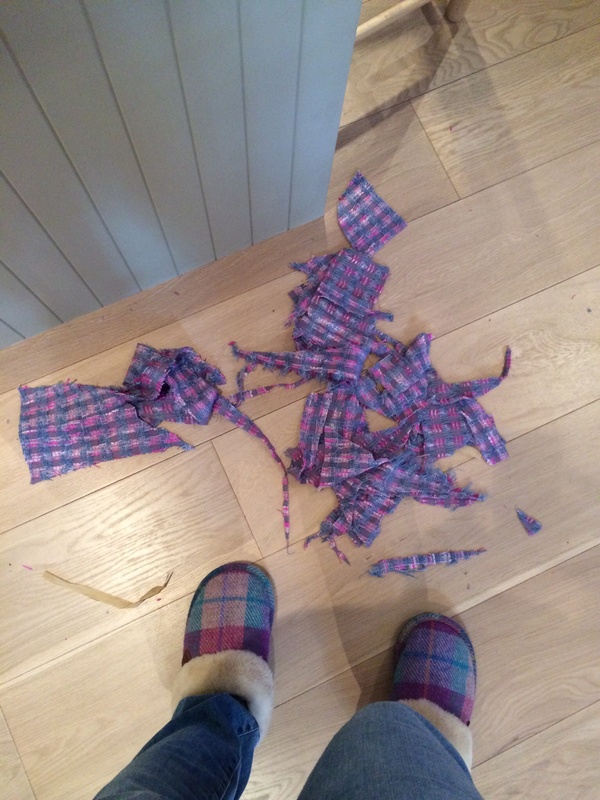 I have only been sewing again since March 2013, although I used to do a lot when my kids were small. But since then I have relied on the internet for inspiration, advice, tutorials, pattern and fabric purchase, and camaraderie. Early on I found Corecoture and was puzzled by her “SWAP” references. I thought maybe she was exchanging patterns or fabrics with people in other countries. Eventually I worked out the idea was to “sew with a plan”. I discovered that this was more about creating a capsule wardrobe, which had great appeal to me. I like versitilty – a small number of items that work together, creating a tiny element of surprise or creativity for the wearer or viewer. I like packing for holidays – using only carry on luggage. The challenge of a limited palette, or space, or budget, or piece of cloth actually appeals to me. So I thought, in 2013 – I will do the SWAP challenge next year. My basic idea was to create a wardrobe for work, for the spring and summer seasons (it’s hardly ever really warm in London). In winter I wear dark brown, grey, navy. For the warmer months I thought about a wardrobe that was basically pink, but balanced by summer navy. Colours that would work with white and light grey neutrals. I wanted to include two skirts suits as this is my main work “uniform”; I find them very flexible. I wanted to include a coat that would go over the suit, and probably a pair of trousers too. I love tailoring so I really enjoyed making the suits and coat, which I would have made anyway. But the SWAP required tops. Of course we all need tops but I tend to wear RTW t-shirts, jumpers and the occasional shirt. 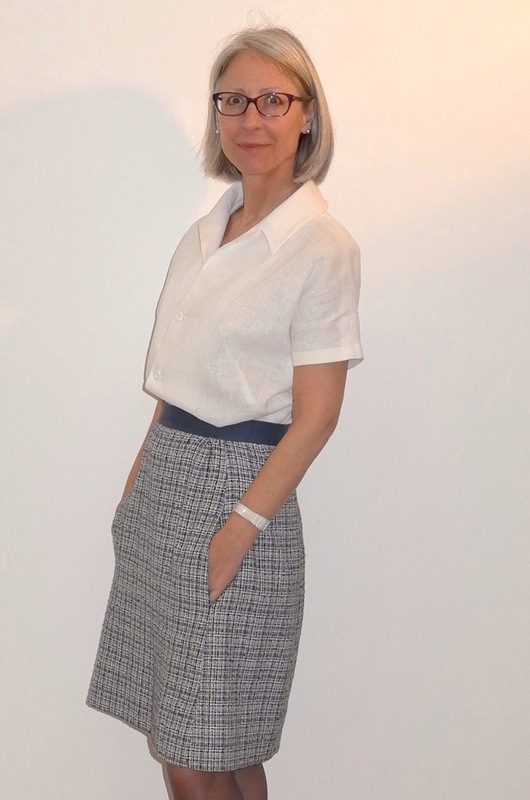 I hadn’t made a top for years – thinking they were either too simple to be worth the effort (T shirts from Primark or Uniglo are cheap and colourful) or time consuming (blouses – with buttonholes, and collars, and cuffs, with their incessant demands to be washed and ironed). But I made three and will do so again. The competition got me into tops and I am glad! 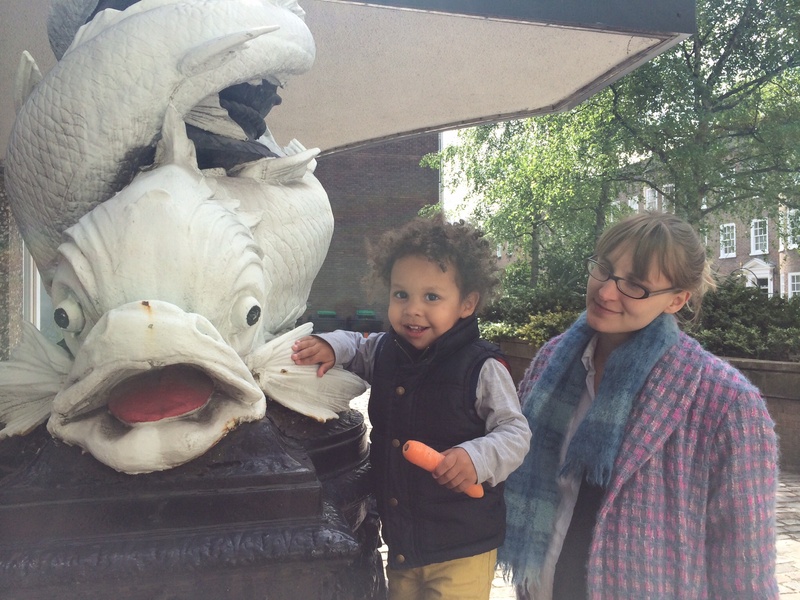 Stop Press: The photographs have now been published. https://www.flickr.com/photos/7370831@N07/collections/72157644459832455/. There are some great entries this year. I look forward to the discussions and any feedback that is given. I entered SWAP – that’s short for Sewing with a Plan. It’s a competition organised by Stitchers Guild. Does my collar look big in this? 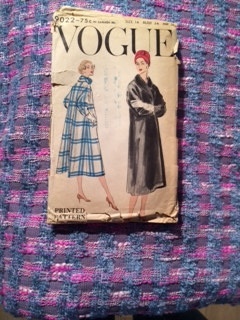 While her iconic wrap dress is particularly famous, she produced several patterns for Vogue and I have a few of them. 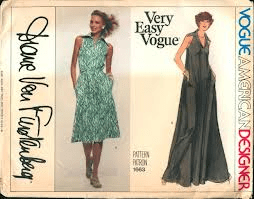 An interesting write up of her work can be found here, celebrating the 40th anniversary of the wrap dress, which recently featured in the film American Hustler. Does my collar look a bit big? Obviously this is how it was designed but it did seem a little extreme by today’s tastes. 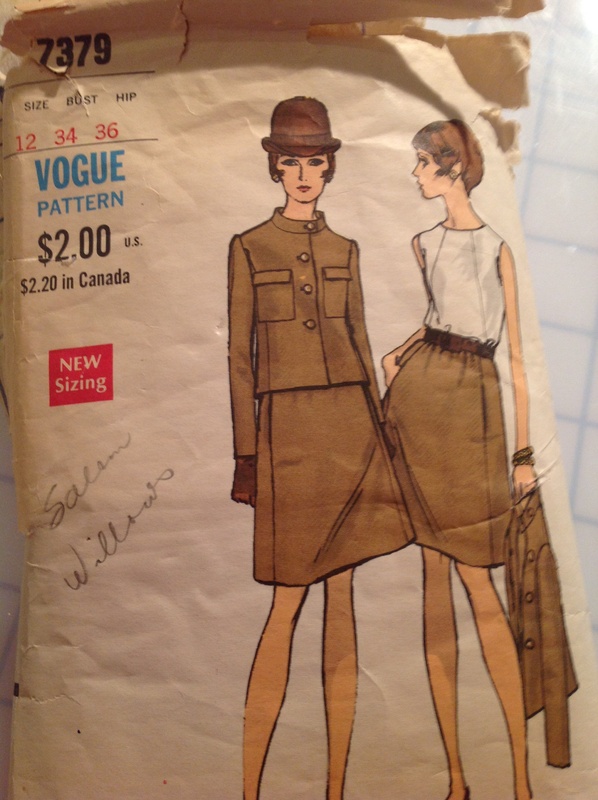 There is always a temptation when making a vintage item to remove the design details that date it. 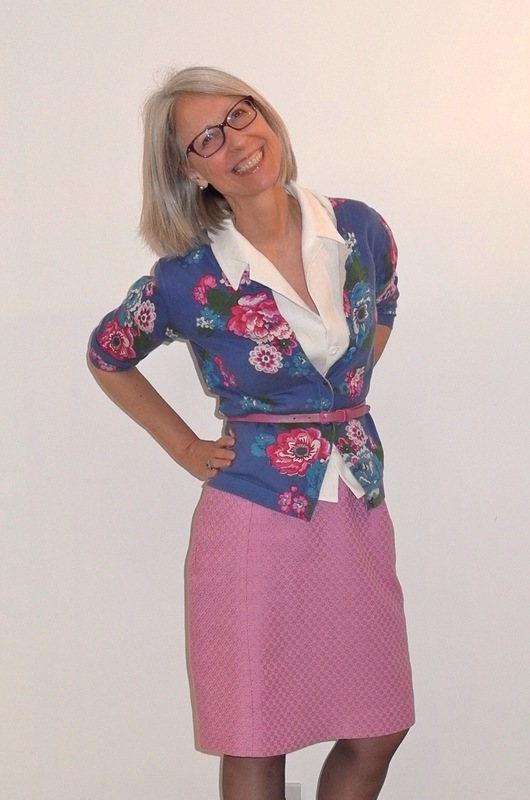 Gertie often notes that 50s dresses can be overly “poofy” – worn today they can make you look just too big in the hips. 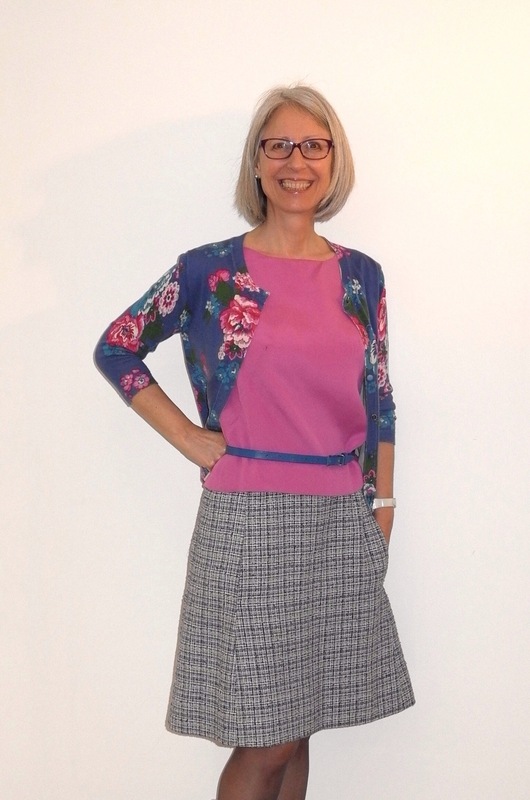 I have a sixties full length skirt on the go at the moment and I think it is just too gathered to be flattering. 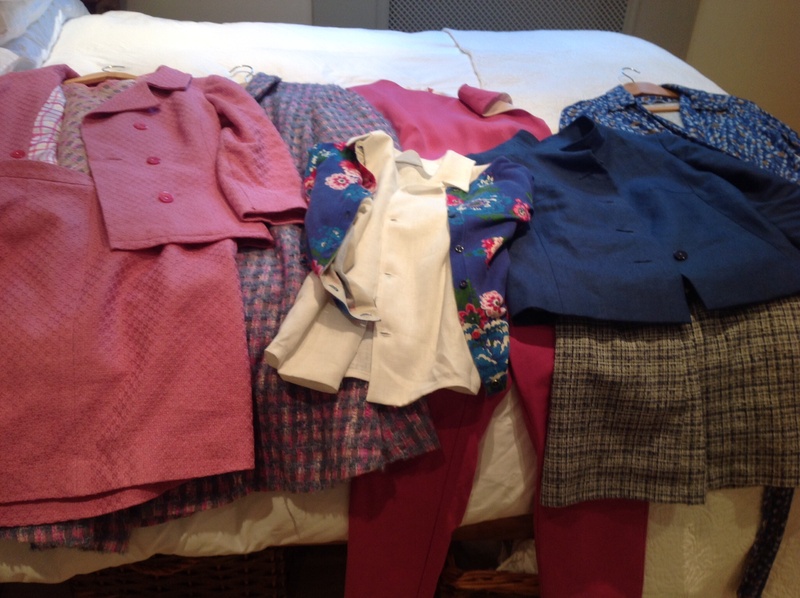 Another blog I admire describes how Karen often makes small alterations to her vintage patterns to make them more classic. Again I am sympathetic, and to be honest I have also made this pattern up again with a reduced collar. But today I am wearing a big collar, feeling a bit like Harry Hill. Basically I feel that it is the exaggerated details that somehow make the garment special. However this dress is designed as a “below the knee” dress, which I find hard to wear and unflattering. And have you noticed I am wearing thick brown tights and brogues? Hardly 70s styling! Its like the old saying that if I replace first the handle, then the blade, of my Grandma’s old knife, is it still my Grandma’s old knife? 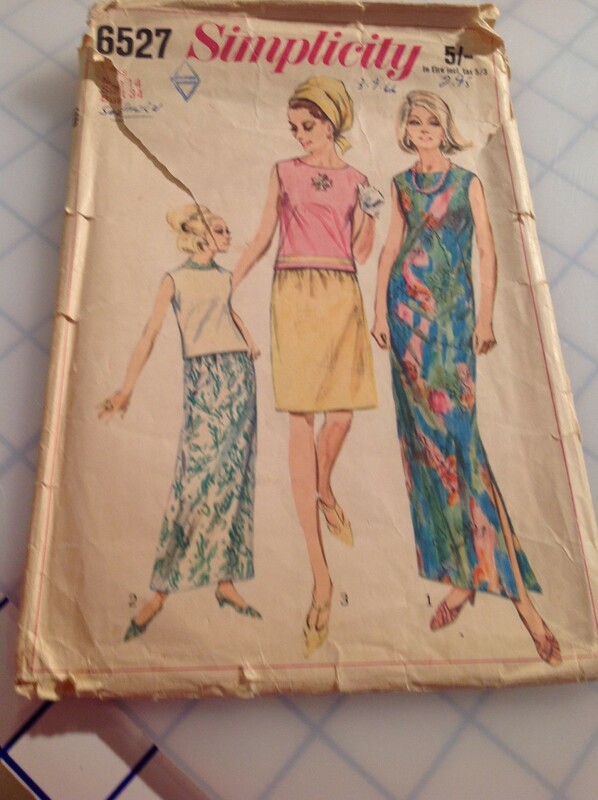 If you sew vintage do you feel the need to stay true to the design, or are you always going for the most flattering look?